The Village of Haines Junction invites qualified individuals to apply for the position of CAO. This is an exciting opportunity to live in a beautiful wilderness setting, in a lovely small town, located within the Traditional Territory of the Champagne and Aishihik First Nations in an area known as Dakwäkäda. Just over 600 residents call this northern community home. Surrounded by Yukon splendour, those who enjoy exploring the highest mountains in North America, vast forests, glacier-fed lakes and rivers will feel right at home. All of this is combined with incredible daily wildlife sightings under the majesty of the northern lights. Haines Junction is located at the junction of the Alaska Highway and the Haines Highway. The Village is located east and south of the famous Kluane National Park and Reserve and is a 1 hour and 40 minute drive west of Whitehorse. Whitehorse itself is equipped with the conveniences of a full downtown, a range of health facilities, shopping, educational, and cultural amenities. Haines Junction is a self-starter town and the successful candidate will be resourceful, innovative, ethical, and will enjoy collaboration. 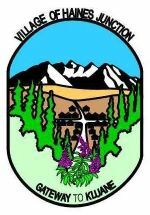 Reporting to Mayor and Council, the successful applicant will be responsible for the overall administrative functions of all municipal departments in accordance with the Yukon Municipal Act, and the bylaws and policies of the Village. The ideal candidate will have a degree relevant to the nature of municipal work, a minimum of 5 years’ experience in senior municipal management or an equivalent combination of experience and education, and thorough familiarity with municipal legislation. This is an excellent opportunity either for those looking to put down long term roots in the community, or for those looking for an exciting 2 to 3-year project term. If you are ready to take on this rewarding leadership role, forward your resume and cover letter with a minimum of three (3) related references to James R. Craven & Associates, by 5:00 pm on Thursday, April 25, 2019. A detailed Supplementary Package containing the full CAO job description, benefits package, organization chart, plus other useful information will be emailed to interested parties.